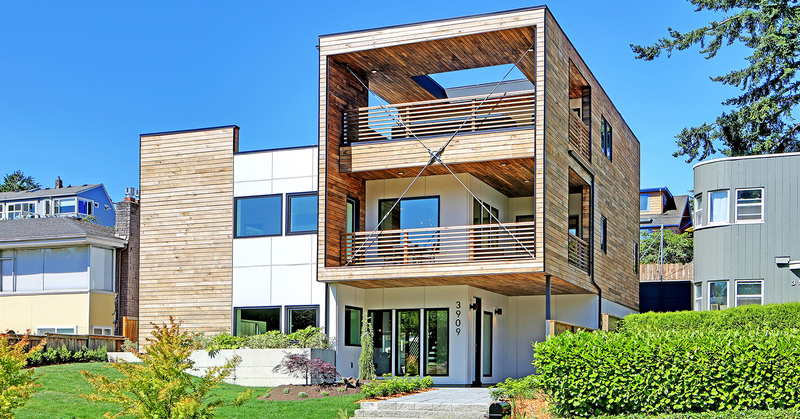 This high-performance home in Columbia City, Washington is a perfect example of sustainable design. It features responsibly-harvested and recycled materials, solar power on the roof and a well-insulated, air-tight envelope – all surrounded by native plants in the garden. 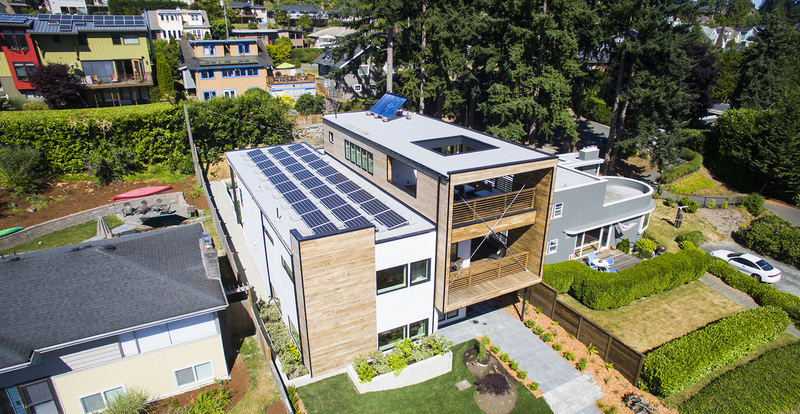 The Genesee Park residence, designed by First Lamp Architecture and built by Seattle-based contractor Dwell Development, is net zero energy and achieved 5-Star Built Green certification. 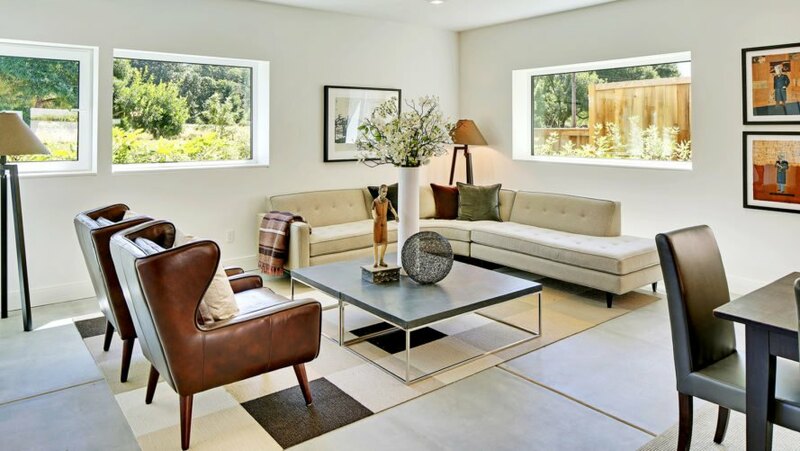 The 3,700-square-foot home is located across from Genesee Park in Seattle, near the shores of Lake Washington and a broad open meadow that stretches five blocks north to Stan Sayres Memorial Park on Lake Washington Boulevard. The building sits on a large 8,000-square-foot lot and is surrounded by native plants and ample space for gardening. It offers an open-plan living room bathed in natural light, four bedrooms and bathrooms, guest rooms and indoor-outdoor entertainment areas, including a spacious rooftop terrace that offers expansive views of Lake Washington. The architects layered materials to create a dynamic exterior. 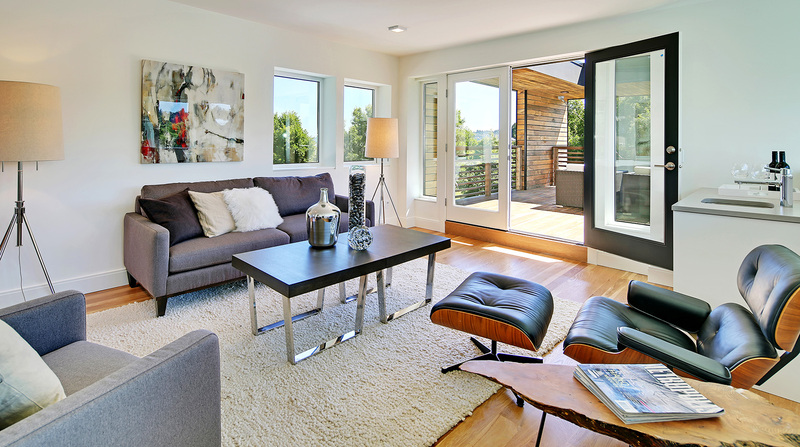 Concrete, oak, metal and fiber cement are combined with an array of reclaimed, locally sourced and recycled materials. A large rooftop solar array, airtight envelope, energy-efficient windows and thick, well-insulated walls all contribute to the high performance of the building. 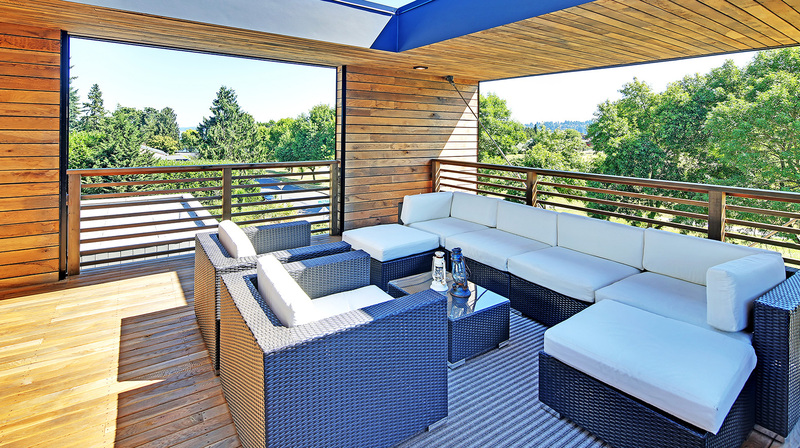 This high-performance home in Columbia City is clad in responsibly harvested white oak siding and offers plenty of outdoor areas with native landscapes and gardens. 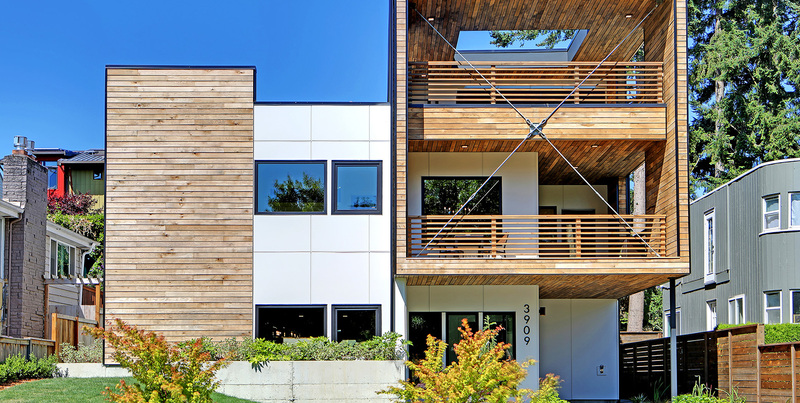 The Genesee Park residence, designed by First Lamp Architecture and built by Seattle-based contractor Dwell Development, has a number of sustainable features, thanks to which it will achieve net zero energy and 5-Star Built Green certification. 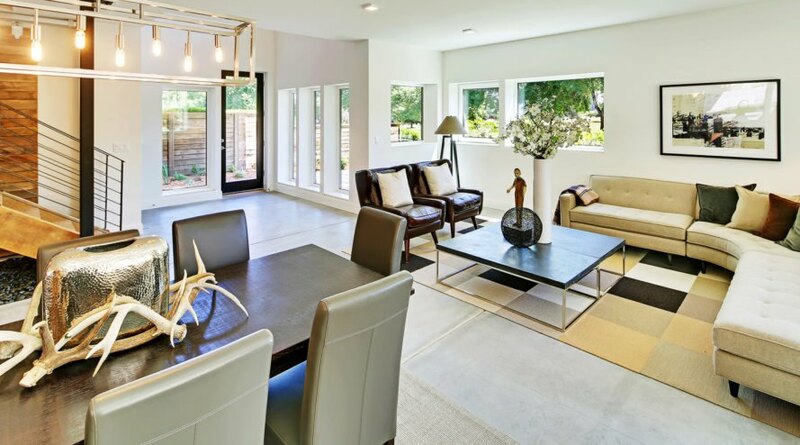 The 3,700-square-foot home is located across from Genesee Park in Seattle, near the shores of Lake Washington and a broad open meadow that stretches five blocks north to Stan Sayres Memorial Park on Lake Washington Boulevard. The building sits on a large 8,000-square-foot lot and is surrounded by native plants and ample space for gardening. The architects layered materials to create a dynamic exterior. 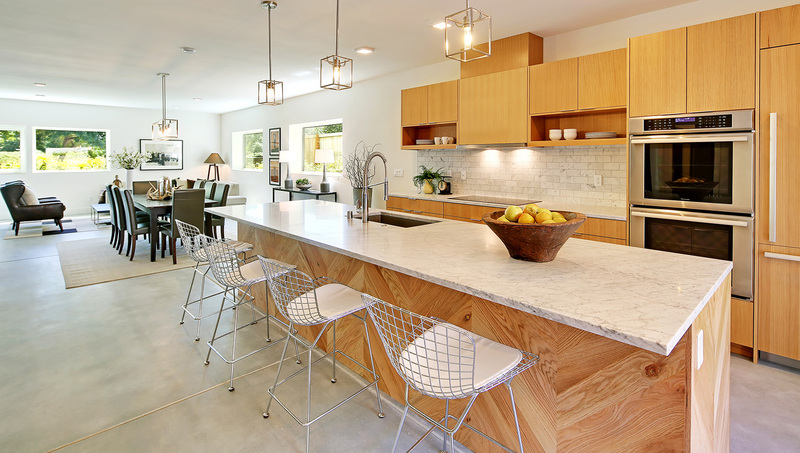 Concrete, oak, metal and fiber cement are combined with an array of reclaimed, locally sourced and recycled materials. A large rooftop solar array, airtight envelope, energy-efficient windows and think, well-insulated walls all contribute to the high performance of the building.